Calyx Health is a doctor’s office exclusively for Medicare seniors. From more time with your doctor to an experience that goes beyond just doctor visits, our primary care clinic specializes in caring for seniors. Get the healthcare you or your loved one deserves at our senior-focused primary care clinic. See how we enable best-in-class primary care for provider-sponsored and JV Medicare Advantage plans. "Our mission is to build the healthcare system that seniors deserve and the country urgently needs." To make an appointment, please complete the form below and a member of our team will reach out to you. By submitting your information, you agree to be contacted by Calyx Health. A member of our team will give you a call in 1-2 business days. We accept Medicare, Medigap/Medicare Supplement, Medi-Cal, Alameda Health Alliance, and most Medicare Advantage health insurance plans, including AARP SecureHorizons/United, Health Net, and Stanford. 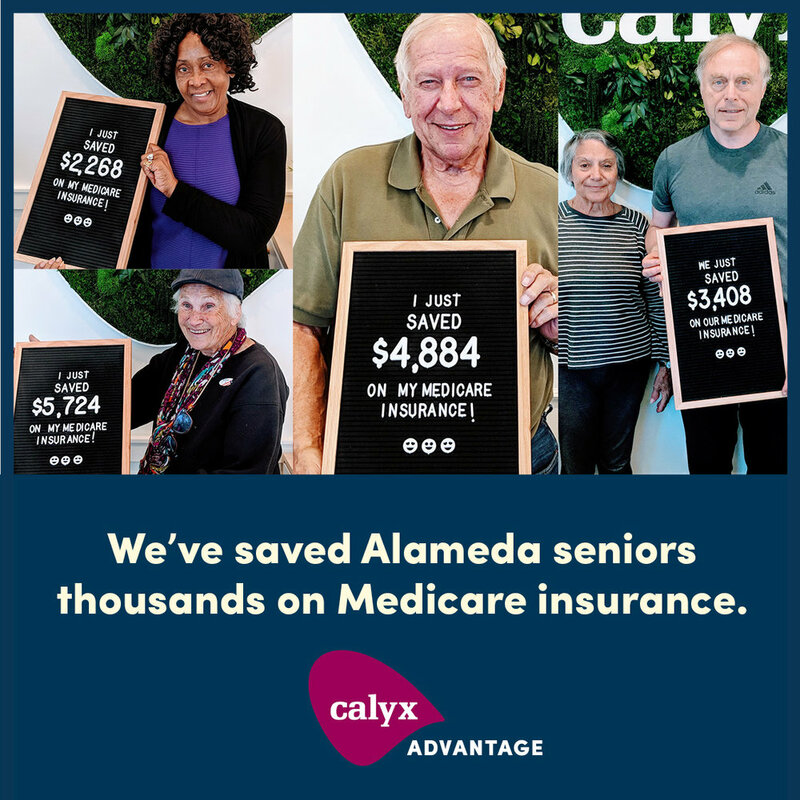 Calyx Health is honored to be nominated as Alameda Magazine’s “Best New Business” in 2019! Thank you for supporting us in our lofty mission to change the way seniors are cared for in this country. Need help choosing the right Medicare plan? Calyx Advantage offers FREE consultations to help people on Medicare save money and get better coverage. Get objective, unbiased guidance on which plan in Alameda County is right for you.